According to a press release by Nigeria Internet Registration Association (NiRA), the 2018 .ng Awards serve to promote and commend the excellent achievements of members, stakeholders and the general public, who contribute towards building a sustainable economy using technology, uplift the image of .ng locally and internationally and stimulating the development of local content on the Internet space. The third edition of the .ng Awards comes up on today, Friday 6th July 2018. 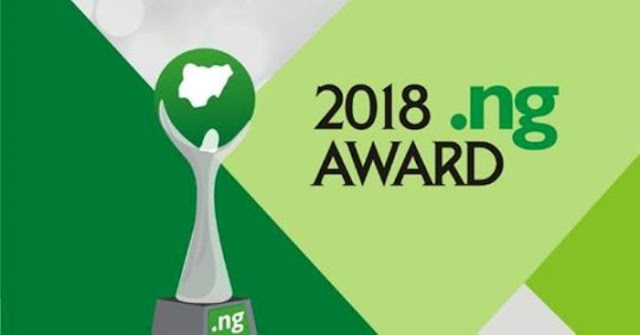 Over the past three years, the .ng Awards have rewarded those organisations and individuals who are promoting the .ng brand, the Nigerian Online Identity. These entities are companies and individuals using the .ng domain names for their websites, projecting the Nigerian culture and norms, and helping to make the Internet more secure, open and accessible. Speaking ahead of the awards ceremony holding in Lagos, the President, NIRA Executive Board, Rev’d Sunday Folayan, said, the Nigeria Internet Registration Association (NiRA) is rewarding these entities for their various achievements. Nominations and voting for the eventual winners in the various categories was done by the general public. “The .ng Awards is generating discussions in Nigeria amongst startups, SMEs, Non-Governmental agencies making the Internet safer, local hosting service providers, the press and the Internet users at large. “As we all look forward to the awards tomorrow (today), let me again re-assure all stakeholders that these awards are based purely on merit and the sheer hard-work of the nominees and eventual winners. Let me use this opportunity to congratulate all nominees and the eventual winners”.